Good morning! I hope you had a terrific weekend. We had a brief cool snap in Florida, probably our last, so we made a point to get outdoors quite a bit. That said, I did some pre-baking for the guests we have coming into town for Easter. Mostly easy brunch recipes that I stashed in the freezer to stay fresh for a few days. I had a little kitchen time, but I tried to minimize it to enjoy our nice weather. As I was sifting through recipes to decide what to make, I noted that I’ll need mostly breakfast and easy brunch recipes. Other meals will probably be eaten out or on-the-go. I like to have a mix of sweet and savory, so I collected my favorite Savory Brunch Recipes in a post that I shared a few days ago, and here I’ve gathered together my favorite Sweet Brunch Recipes. 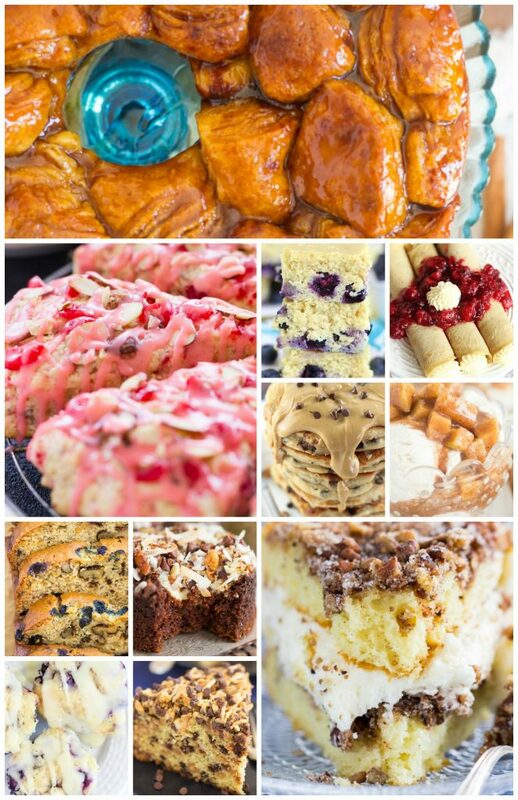 Here are 25 favorite sweet & easy brunch recipes, give or take a few. I hope this is helpful to you whenever you have special brunch plans! 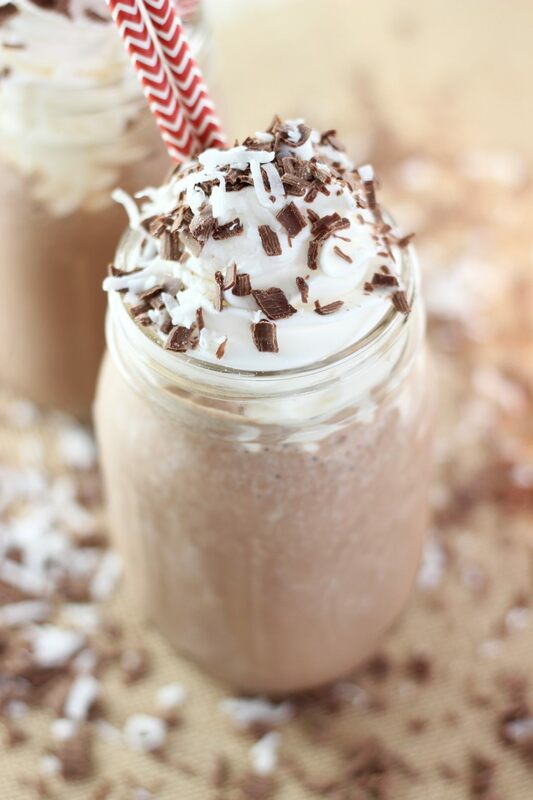 Almond Coconut Mocha Protein Smoothie: This is so popular! An Almond Joy candy bar in a smoothie, plus a jolt of coffee. It’s easy to throw together, and it’s loaded with delicious flavors and ingredients. Very filling! 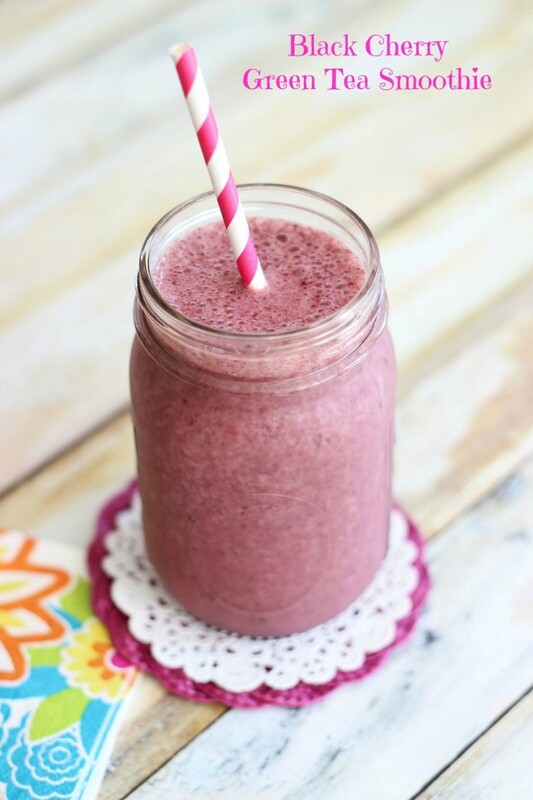 Black Cherry Green Tea Smoothie: This one is a longtime favorite of mine. I found the recipe in a health magazine about 10 years ago. You’ll probably be surprised how well black cherries and green tea complement each other. I LOVE this smoothie, and never tire of it. 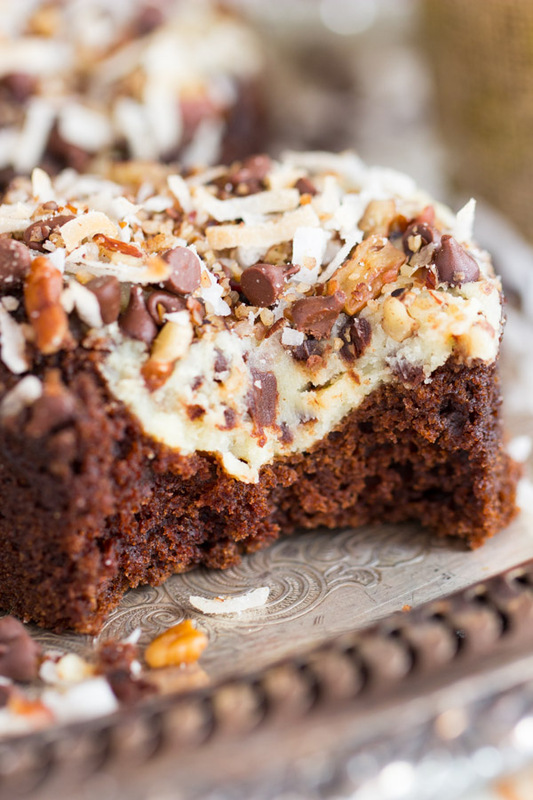 Almond Joy Muffins: Chocolate muffins, topped with a layer of cheesecake, and sprinkled with coconut, chocolate chips, and pecans – there is so much to love here. 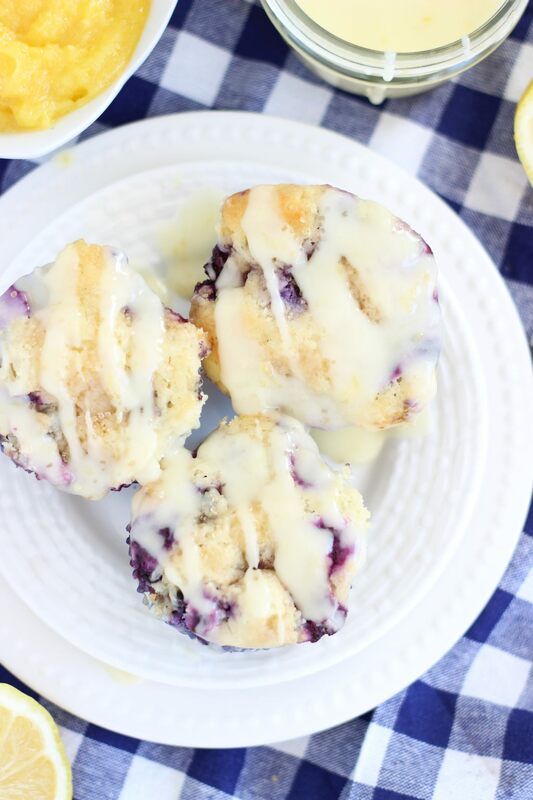 Berry Cheesecake Muffins: Another longtime favorite… I’ve made these for 10+ years. 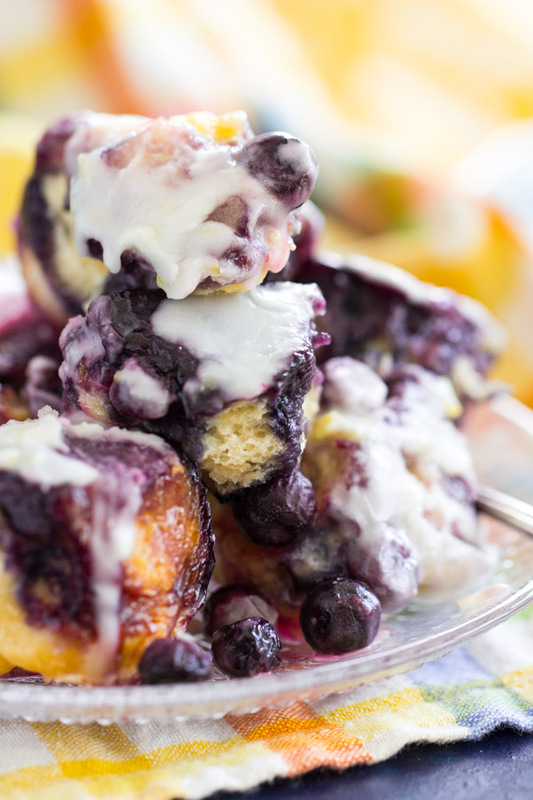 Classic blueberry muffins get an upgrade with three kinds of berries, a few bites of cheesecake on top, and a tangy lemon glaze! A stand-out muffin from a sea of ordinary muffins. Lemon Zucchini Muffins with Lemon Glaze: These zucchini muffins are so light and fluffy. They almost have the texture of cake. They are strong on lemony zing, and zucchini lends major moisture. 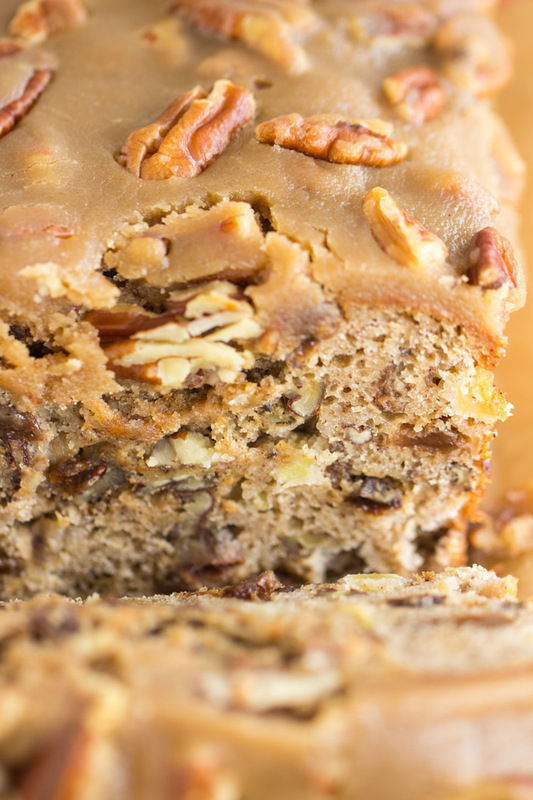 Grandma’s Pistachio Bread: Speaking of longtime favorites, this recipe has been a family staple for decades. 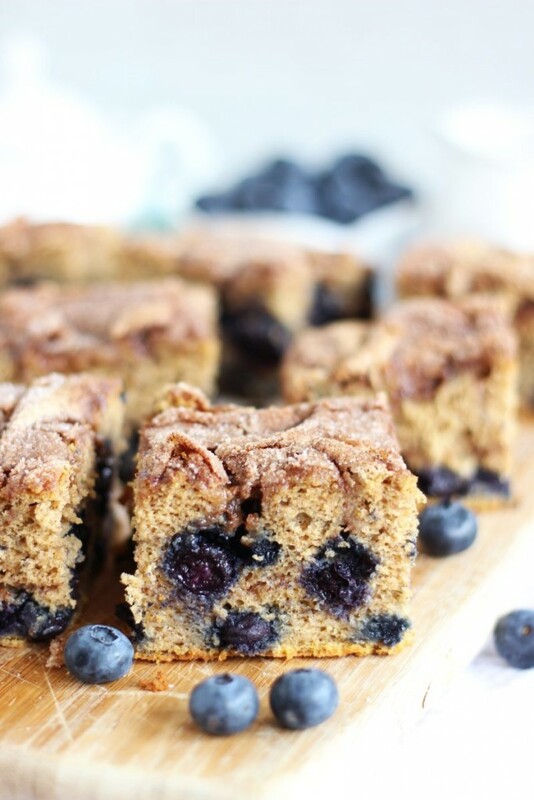 I would more accurately characterize this as a coffee cake recipe! It’s not dense like a quick bread. 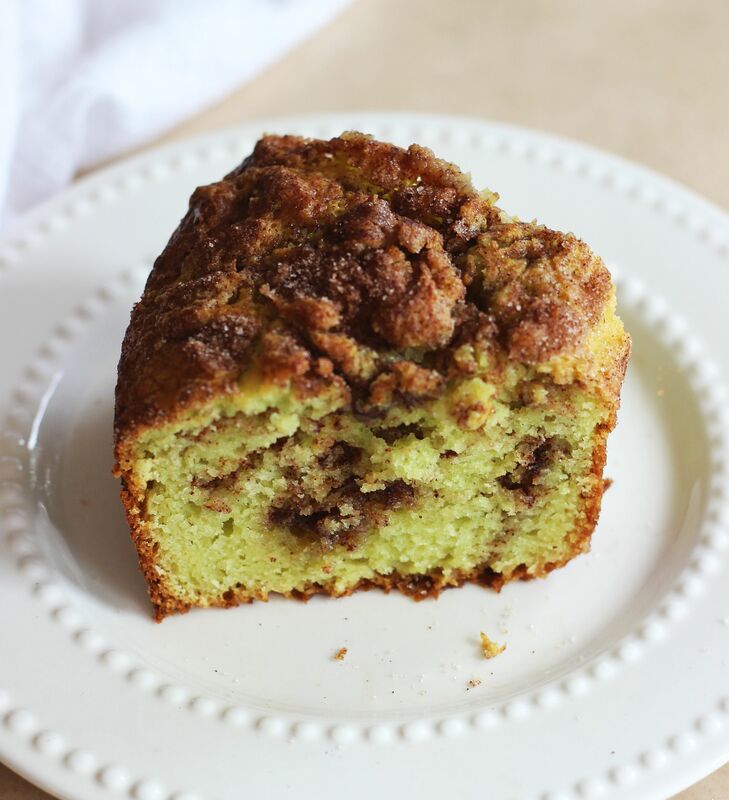 It’s much more tender and cake-like, and the generous layers of cinnamon-streusel are quite reminiscent of coffee cake too. 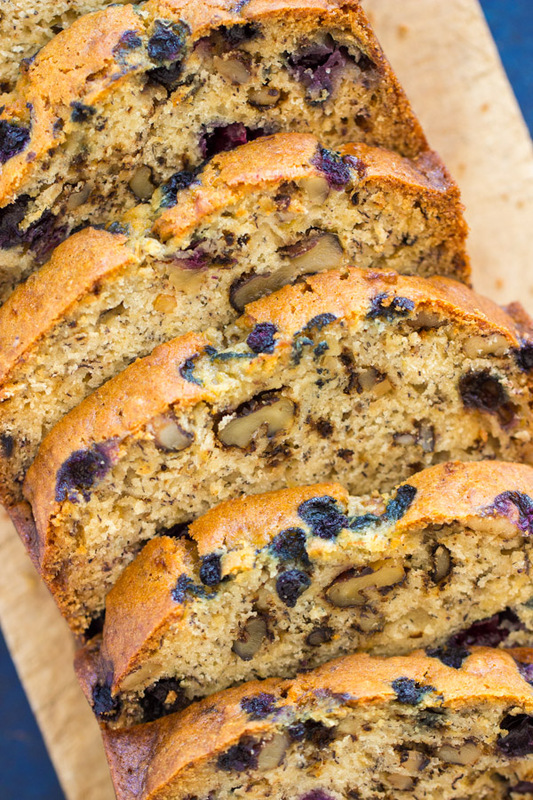 Blueberry Banana Bread: I’ve tried dozens of banana bread recipes, and I always come back to this one from Katie Lee that I found many years ago. It’s just right when it comes to density, moisture, and banana flavor. This version is bursting with blueberries too. 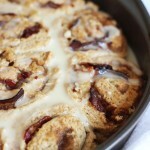 Apple Raisin Bread with Pecan Praline topping: Well, it’s pretty much all in the recipe title. A fabulous bread for brunch! It’s kinda dessert-y with the brown sugar & pecan topping, but not overly sweet for breakfast. 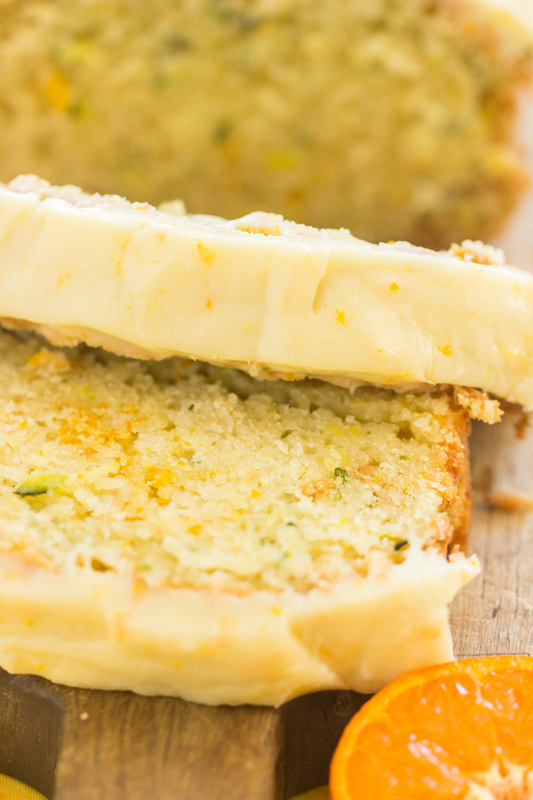 Orange Zucchini Bread with Orange Glaze: This is a fresh twist on a traditional recipe. I used my family’s chocolate zucchini bread recipe, and gave it a makeover with orange zest and fresh orange glaze. You’ll love this bright spin! 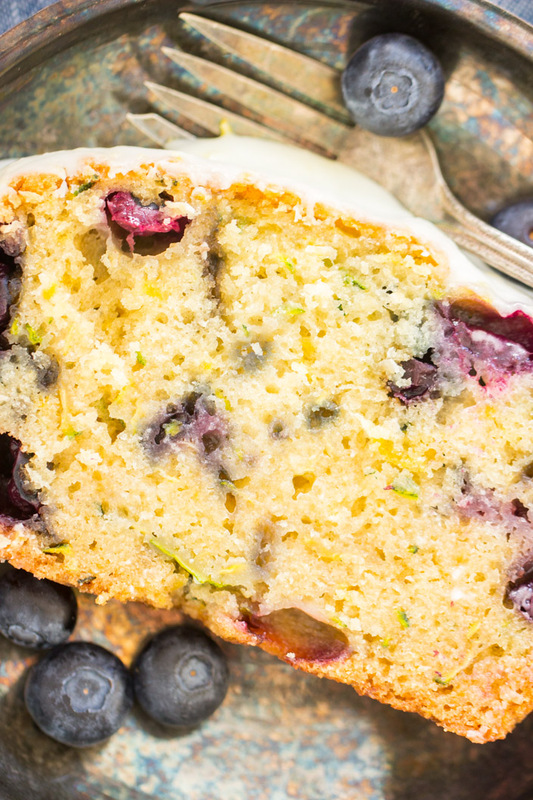 Lemon Blueberry Zucchini Bread with Lemon Glaze: As with Orange Zucchini Bread, this is a fresh twist on zucchini bread. With lots of lemon zest, lots of lemon glaze on top, plus a heap of blueberries, this is a tremendous spruce-up to traditional zucchini bread. 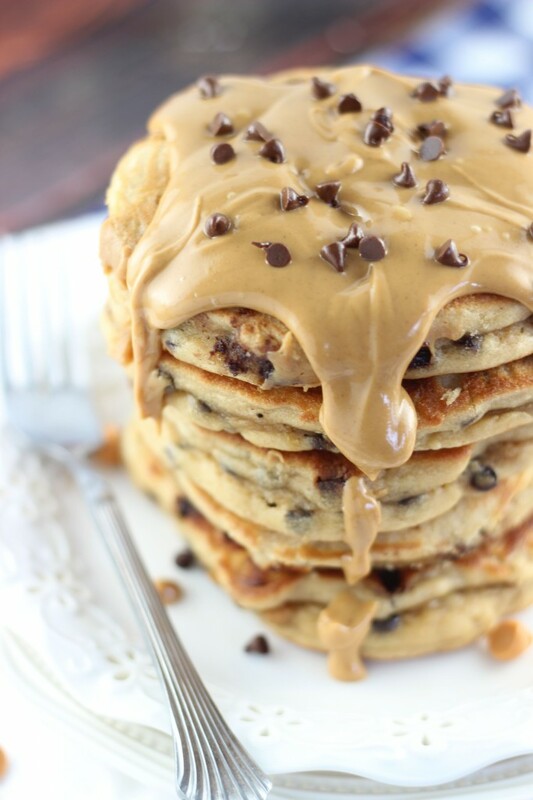 Peanut Butter Chocolate Chip Pancakes: Ahhh, one of the most popular brunch recipes on this list! These are well-loved by readers, and there’s a lot of positive feedback here and on Pinterest. 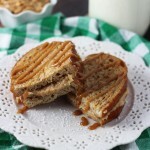 They’re surprisingly soft and fluffy for as much peanut butter as they contain. 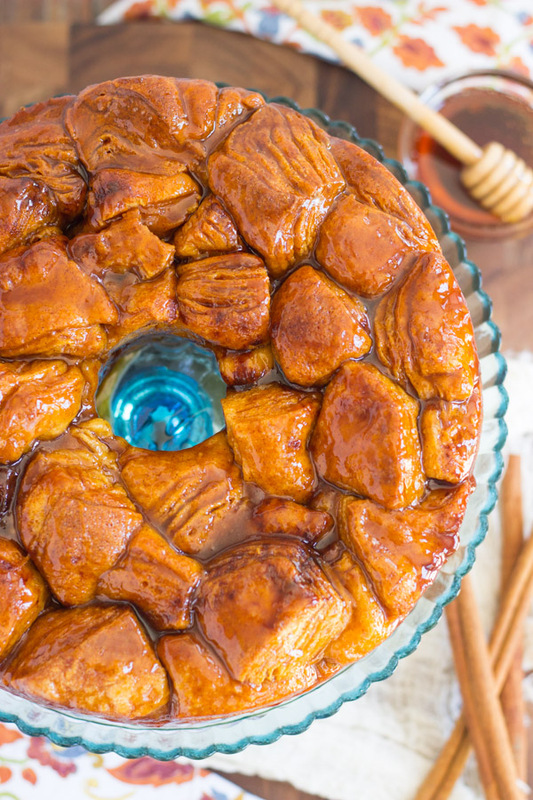 Honey Cinnamon Monkey Bread: I discovered a short-cut monkey bread recipe that uses canned refrigerated biscuits, and that was a game-changer. I love yeasted bread from scratch, but prepared biscuits make a great substitute when you want to minimize time & effort. Each nugget is drenched in a honey-cinnamon syrup that is absolutely irresistible. 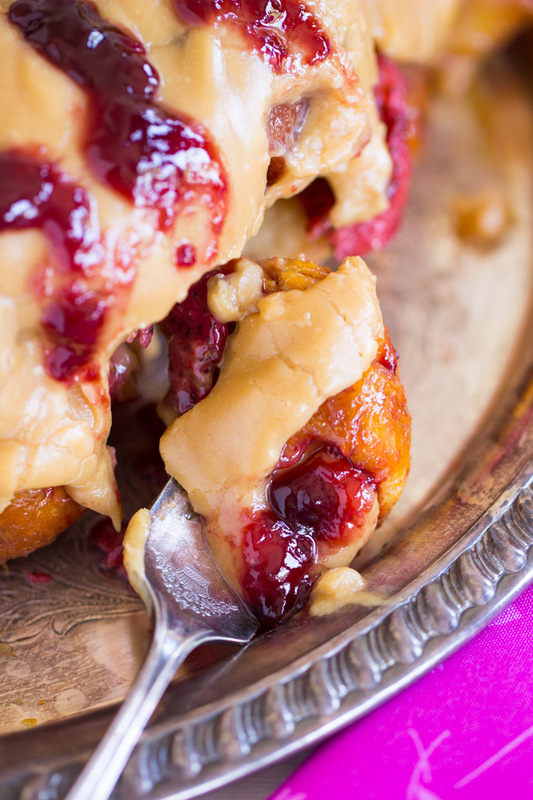 Peanut Butter & Jelly Monkey Bread: The same short-cut monkey bread, but each crevice gets crammed with strawberry jam and sliced fresh strawberries, then smothered in a thick peanut butter glaze. Lemon-Blueberry Pull-Apart Bread: One last monkey bread-type recipe, but this one features lemon & blueberries of course. A favorite duo around here, for sure! 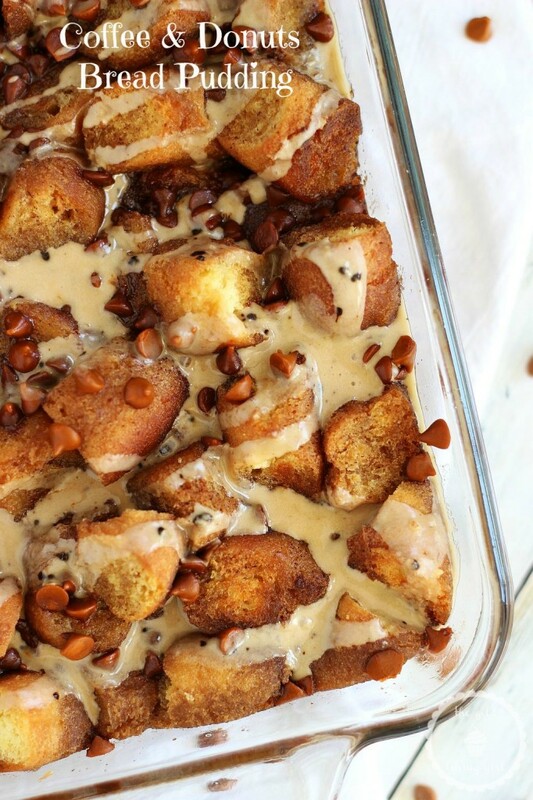 Coffee & Donuts Bread Pudding: Not your average bread pudding, this one swaps a standard loaf of bread for cake donuts! Yes, donuts! Cake donuts soak in a bath of cream, coffee, and a few other odds & ends that bake into a custard. 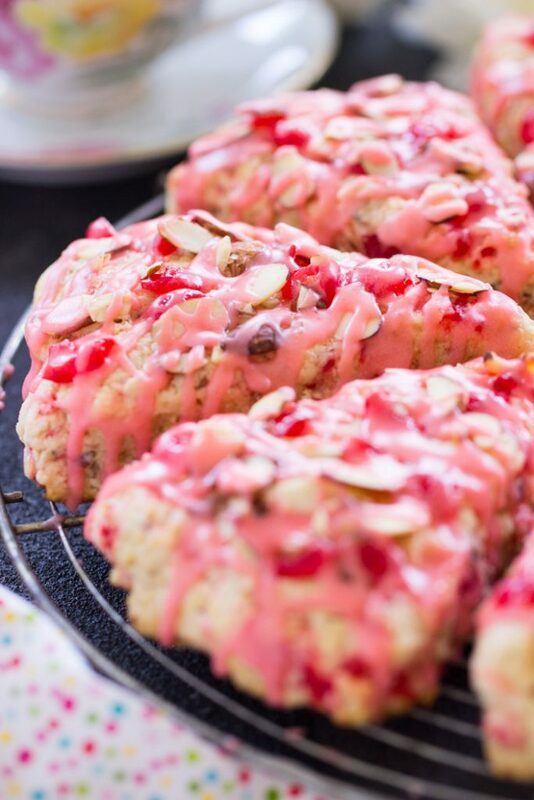 Cherry Almond Scones: I love that you can start a batch of scones from scratch, and be eating them fresh from the oven in about 30-45 minutes. Quick & easy to prep, and quick to bake! These are jammed with maraschino cherries, almond flavoring, and an incredible cherry-almond glaze on top. 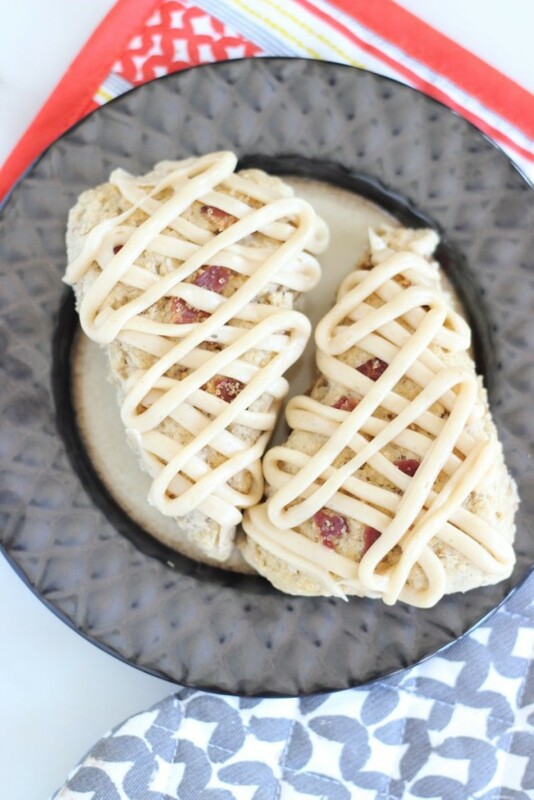 Brown Sugar Maple Bacon Scones with Brown Butter Glaze: These are my #1 fave scones, personally. They’re like French toast and bacon in a breakfast pastry. Weird, huh? But totally addictive. 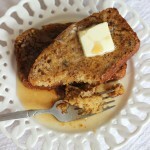 A hint of cinnamon, lots of maple goodness, bits of crunchy, salty bacon, and the brown butter glaze is to-die-for. 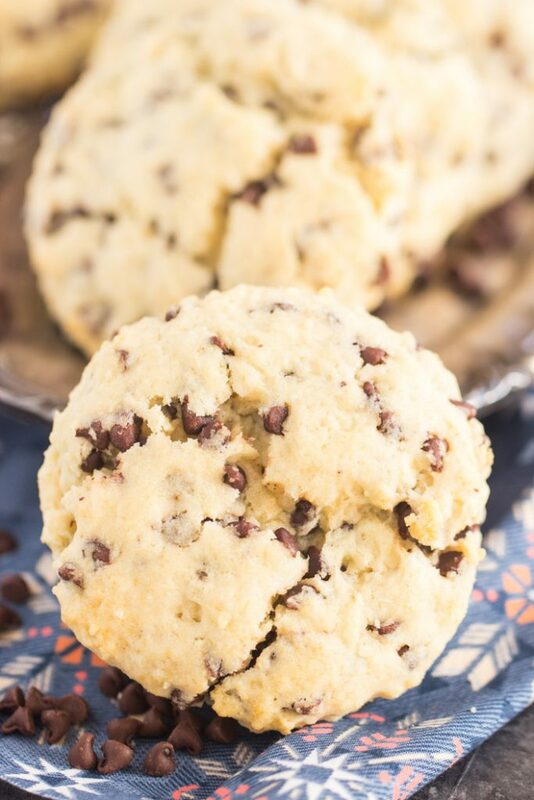 Chocolate Chip Biscuits: These only take a few basic ingredients, and are super fast to throw together, but bake up be a rich, luxurious, flaky biscuit. Chocolate is unexpected and provides the right amount of sweet. 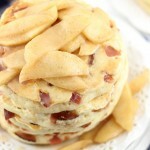 Layer them with fruit & whipped cream for a breakfast shortcake! 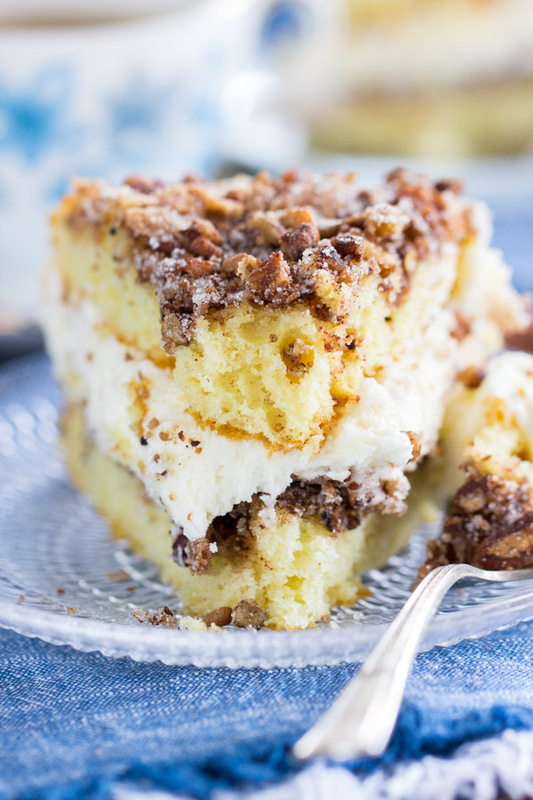 Cinnamon-Streusel Layered Coffee Cake: Like a layer cake, but it’s a coffee cake! Each layer is coated all over with sugar, cinnamon, and pecans, and the layers are sandwiched with a creamy, fluffy cream cheese filling. Chocolate Peanut Butter Coffee Cake: This is a pretty good case of dessert masquerading as breakfast. 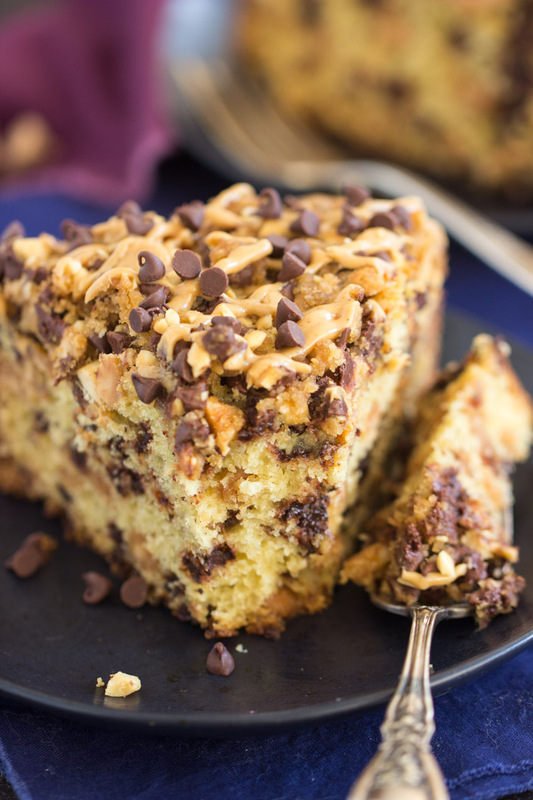 It’s jammed with chocolate chips, peanut butter chips, and topped with a drizzle of PB too. It’s pretty dang decadent. 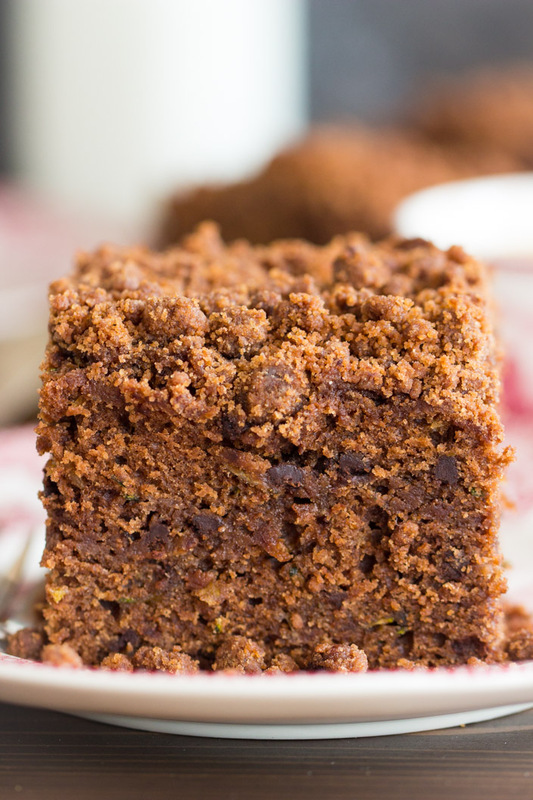 Chocolate Zucchini Bread Coffee Cake: Chocolate zucchini bread meets coffee cake. It’s hard to spot them, but there are thick ribbons of cocoa streusel layered throughout! 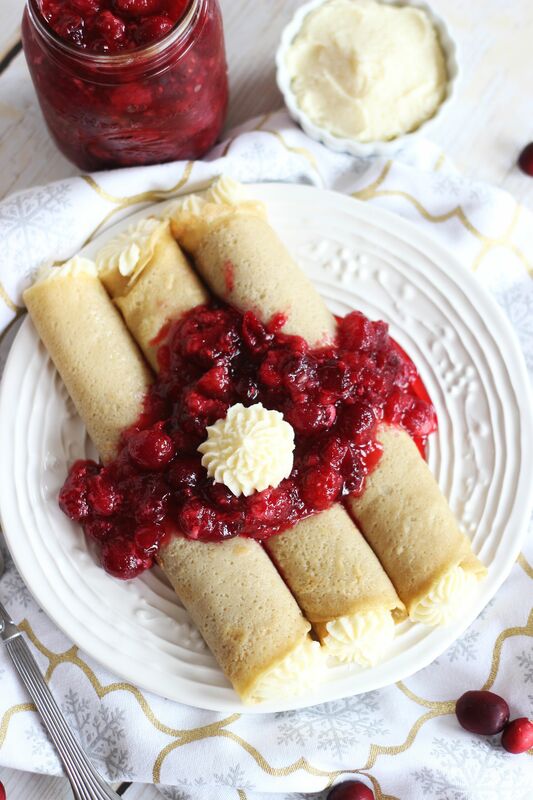 Amaretto Crepes with Cranberry Raspberry Sauce: These are a big hit around the holidays, but you could swap cranberries for any other type of berry, and these would be excellent year-round. I’m obsessed with what a touch of amaretto and a bit of almond flavoring does to enhance berries. Chocolate Crepes with Peanut Butter Marshmallow Filling & Caramelized Bananas: These are basically dessert, and they’re honestly not a super fast breakfast, but they’re so freaking work it! Crock-Pot Cinnamon Apples: One of my best friends gave me this recipe, and I feel head over heels. 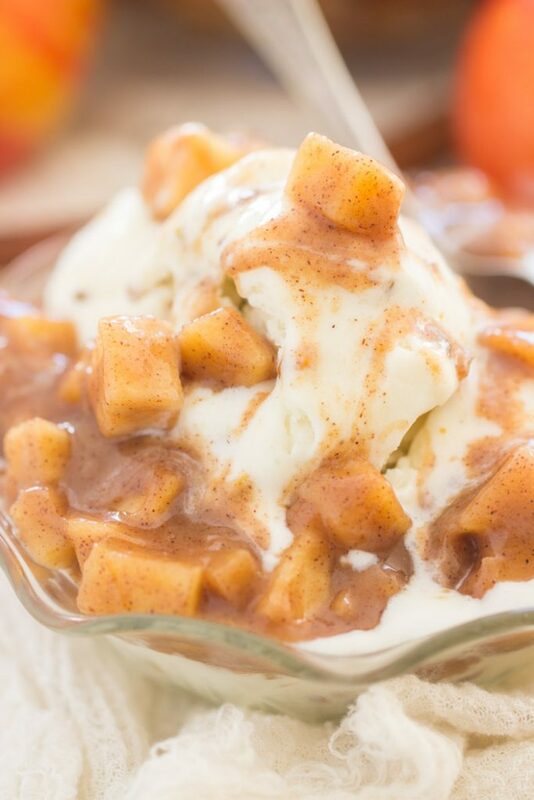 It’s like apple pie in a sauce. 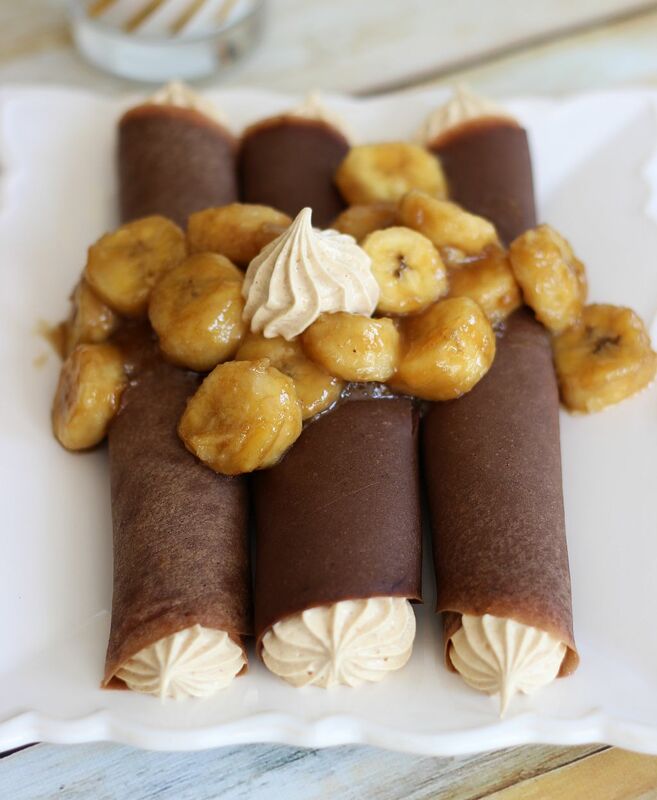 You can spoon these over yogurt, oatmeal, or ice cream if you want this to serve as dessert. 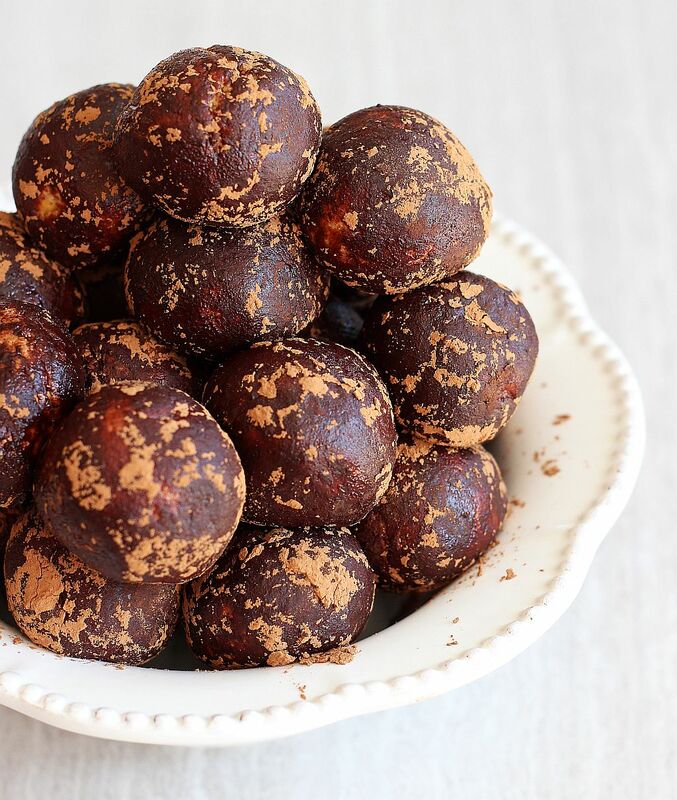 Chocolate Peanut Butter Protein Balls: Kinda like healthy Buckeyes. They’re high in protein, and very portable. I make double or triple batches and stash them in the freezer. 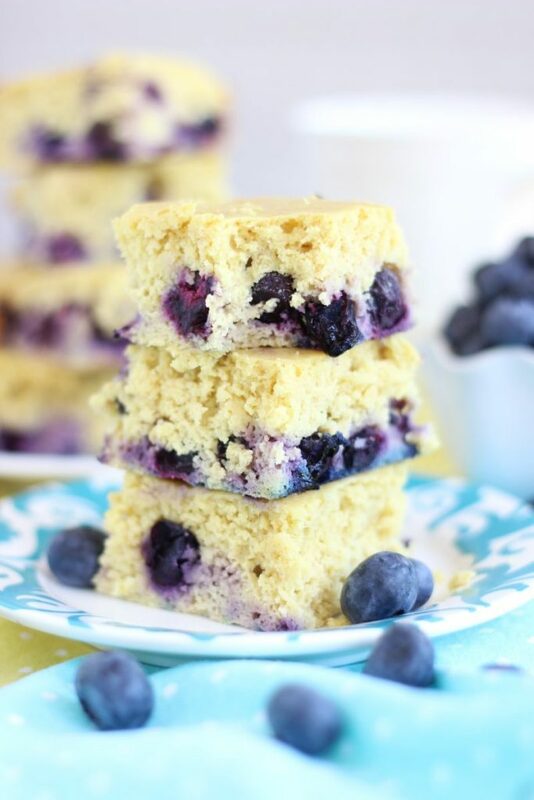 Lemon Blueberry Protein Bars: A long-time favorite! I’ve made these for years, and just love their ratio of carbs and protein. You’d never guess they’re healthy and light. Blueberry Cinnamon-Swirl Protein Coffee Cake: Same! Based on the protein bar recipe above… you’d never think this coffee cake is healthy and high in protein. It’s fabulous. 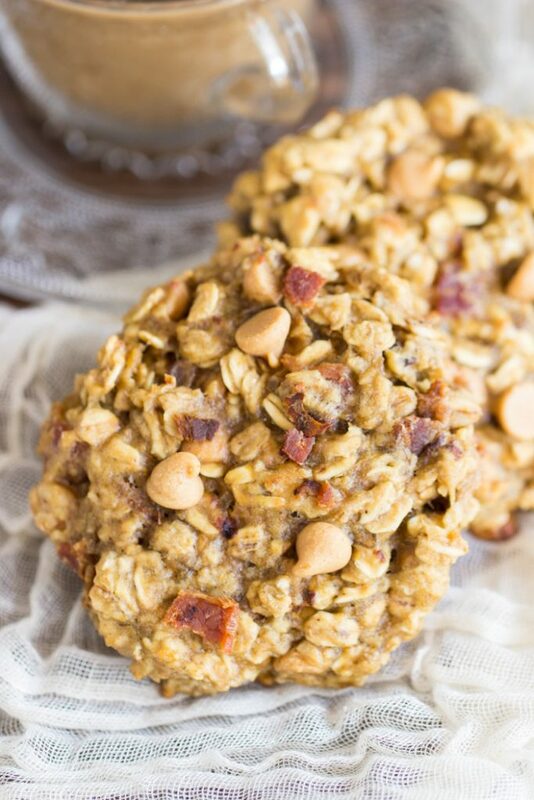 A few breakfast cookies options! I’m so hooked on breakfast cookies. Check out these Chunky Monkey Cookies, Chocolate Peanut Butter Banana Breakfast Cookies, or Peanut Butter Bacon Breakfast Cookies. They’re very efficient. 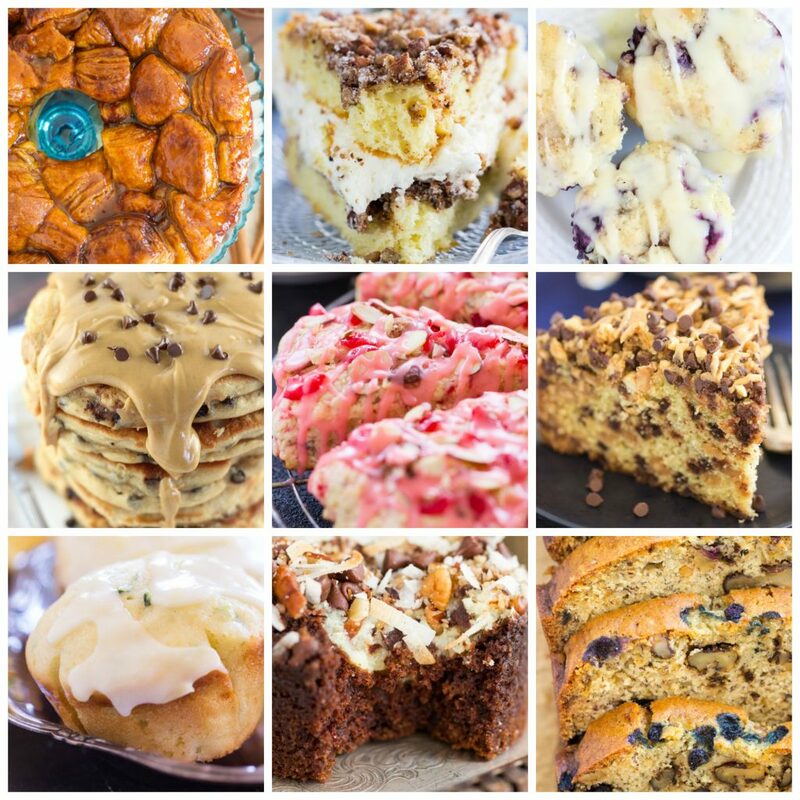 Like scones, one of the perks is that you can whip up a fresh batch in no time, start-to-finish. It’s so gratifying to make a homemade baked good from scratch in such a short amount of time. 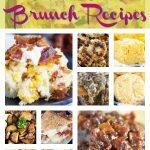 I gathered my favorite Savory Brunch Recipes into one post a few days ago. I have MANY other brunch recipes that I love, but I curated my very favorite brunch recipes so that you have an excellent selection of sweet and savory in a dedicated place! If you celebrate Easter, what will you be making on Easter Day?? 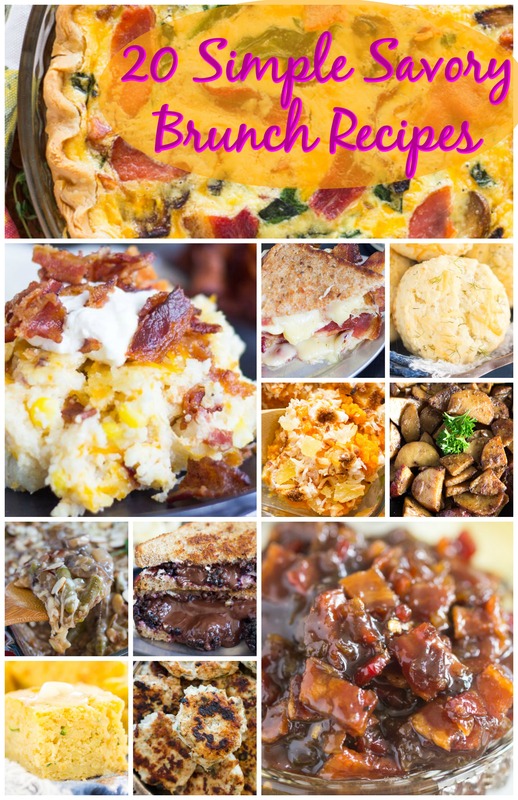 What easy brunch recipes will you be making?? Do share!